I haven't blogged about my favourite Royal family for what seems like years now but the statements coming out from the palaces in Johor are getting more curious by the day, I must say. The latest, where the TMJ pulverised Umno psy-war chief Puad Zarkashi's attempt to downplay rumours of a rift between the Palace and the Prime Minister's Office, is most intriguing. As I see it, Puad was saying that his Boss, the Prime Minister, had no problem with the Istana. 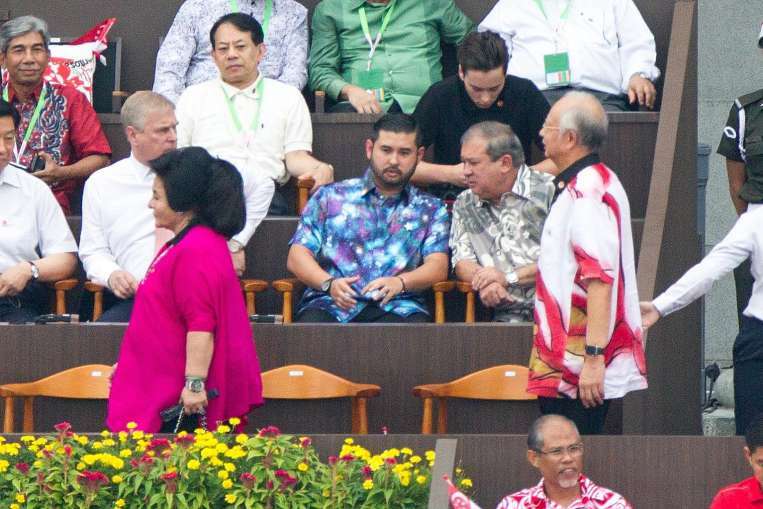 Yet the Crown Prince wishes it be known by all and sundry that there is actually a problem between him, his father, the Sultan, and Prime Minister Najib Razak. Why? What is this "whole story" underscored by the TMJ? A disservice really. Now is not the time to be a hero. You may get burned. Leave it to Rahman Dahlan. He knows his stuff. Don't hurt the PM who's already hurt. We want the issue resolved. Not cloud it with unsavoury comments. Jangan sokong membawa rebah. Kan orang lama Melayu dah ads nasihat ni. Patuhilah. Relax lah Bedul. Semua alright! Now Najib has that Indian botak in 1MDB - the heat is off that chinaman. So all secrets safe except people know that we only put Arul there when everything has been empty. But anyway the money is some where in the langit, as they say. So relax brudder. Maybe geram tengok Singapore letak Kak Mah di barisan depan dari dia. Nothing intriguing bru, to 99.99% of us dah jelasdah. We are a bigger idiots for condoning idiots to be our leaders. Penyakit kencing mengencing dah kelihatan merebak sampai kepada semua pemimpin UMNO. berlayar dan tak mungkin akan kembali lagi sehinggalah ia membawa kemenangan. Najib sudah pun di-lihat keserakahan nya...bergayut di-dahan yg sudah rapuh. Baliklah ke pangkal jalan jika sedar diri dah tersasar jauh....atau terus berlayar hingga kapal Bugia nya tenggelam bersama rakyat nya sekali. TMJ wants it to be known he is against Najib. Why does he need to fight the PM? What did Najib ever did to him la? I am so not respecting the Johor kerabat at the moment. Flaunting their wealth.....big expensive trucks and cars...private jet and pink rolls royce for bday gifts. They also act like gangsters especially TMJ. fighting with everybody especially those non johor football teams. And ugut nak keluar Malaysia.....Ya Allah mcm cult pun ada these people. Where do they get the money for their wealth...is it because they sold of properties in Johor especially the NusaJaya watever development that only the rich can buy? We know Johor kerabat dont really work or even good in business unlike N9 royalty...so how do they actually earn their living? Wow. 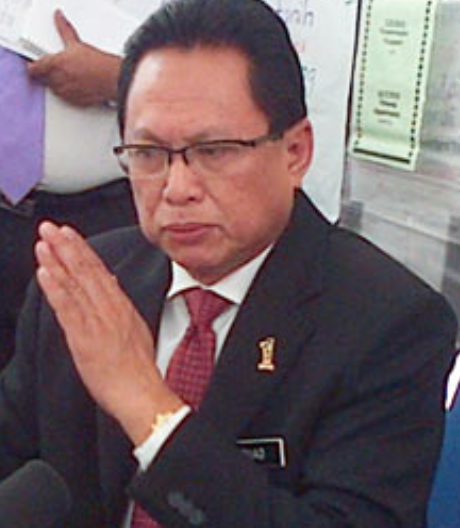 Nada tulisan Ybhg Dato Rocky seolah memberi amaran. 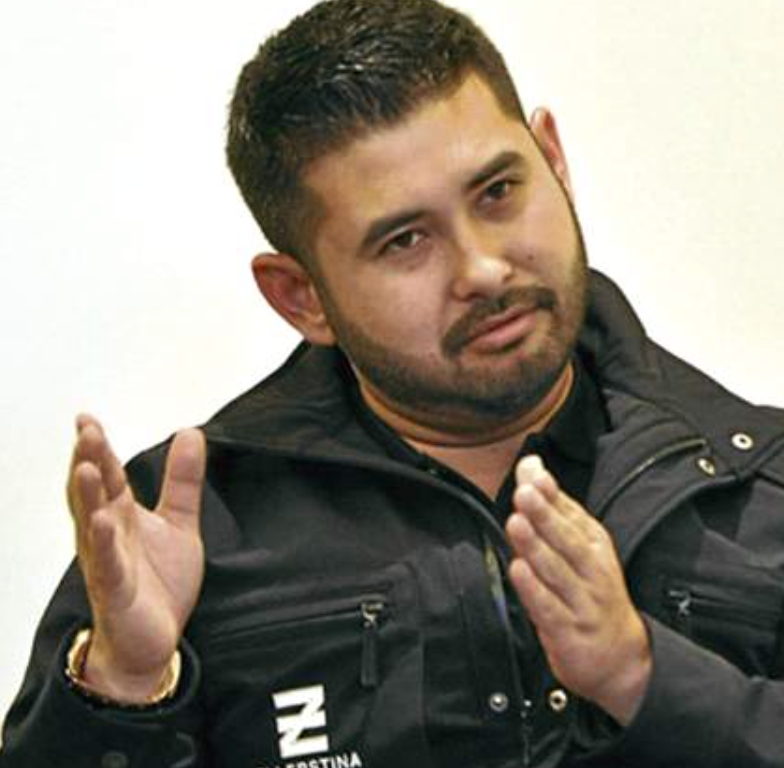 You warning TMJ kah Dato'? For me tmj just another out spoken brag. Tak boleh marah Puad. Dah kerja dia. Cari makan. Rahman Dahlan is bringing more and more damage to the already tainted Najib. The latest being Rahman's admission that Gani Patail was removed because Gani was about to charge Najib on the 2.6 bilion scandal. Rahman's The Star interview was akin to stabbing his own boss for the sake of defending his boss. shut up apply to all no one excluded .. be part of solution not problem !! TMJ is in anger when the "Regent Southern State in West Malaysia" to table bill of no confident is been rejected by Yang DiPertuan Agong. You still don't get it, do you ? We don't want you to speculate on anything involving our Sultan, and you should just accept commentaries by TMJ or the palace. Don't try to be a hero and paint a rosy picture for the rural folks. Especially when it is not that rosy. Jawa ni kadang2 suka menyibuk.Suka sangat buat publisiti murahan.Jangan sekali2 buat komen tentang keluarga diraja Johore sekira kamu tidak tahu hujung pangkal ceritanya.Sebelum kena penampar Siam dari keluarga diraja adalah lebih baik anda pergi masuk gua di Gunong Soga Batu Pahat dan bertapa di sana.Daulat Tuanku.Jangan ambil peduli orang2 saperti Jawa ni yang mabuk ketum agaknya. Your second last paragraph is misleading, as you seem to have concluded that the royal family is not in good terms with PM. I think the TMJ is only not happy about unrelated party making unsubstantiated comments on relationship matters, and nothing beyond that. Because, you see, Puad was speaking for his boss the PM. He wasn't second-guessing TMJ or the Sultan. He was merely conveying what Najib had told him. Note the paragraph where Puad said, "I met Najib recently and he said there is no misunderstanding between him and the Sultan ...". 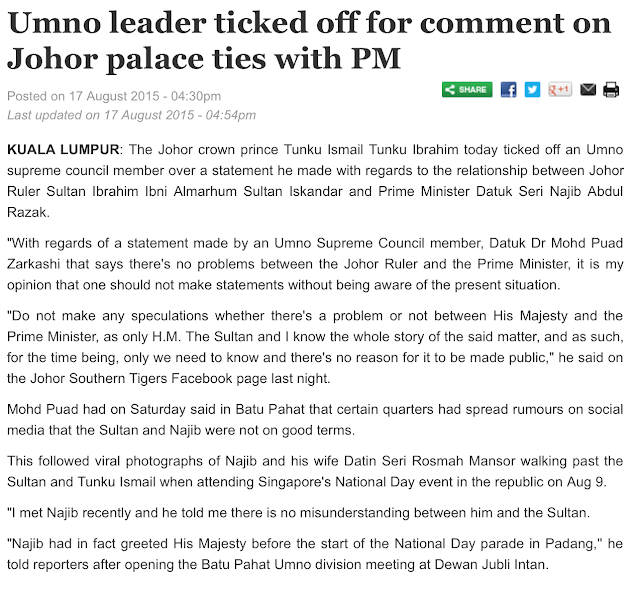 The TMJ was not even mentioned by Puad or by Najib. Just pretend not to know. Everybody knows what Puad was trying to say & the reason why TMJ resonded on that subject. Crystal clear...someone is trying to say that everything is fine & well between both of them. Anon bodoh (maaf) manalah kata kerabat Johor tak tahu biznez. Satu2 kerabat yang Sultannya dan keluarga yang 100% pendapatan bergajinya diberikn kepada tujuan kebajikan adalah johor sejak era almarhum Sultan Iskandar. And the biggest winner is...........FAZURA. She made the best choice by not joining THAT family. Wakakakaka!! Ya Allah, berikanlah Najib kekuatan. In Shaa Allah, dengan lindunganMu, Najib akan bangkit semula dan pada sesiapa yg memfitnahnya, berikanlah mereka petunjuk, agar mereka kesal dengan fitnah2 mereka.